When searching for a library/tool/... with my favourite search engine, there are often results from Stack Overflow. Since these questions are (in theory) closed and/or outdated, they pollute my search results and cause annoyance. First I thought these questions shouldn't appear in my search engine in the first place, but the team has explained why they don't want to do that. We want to show Google the same thing we show everyone else. 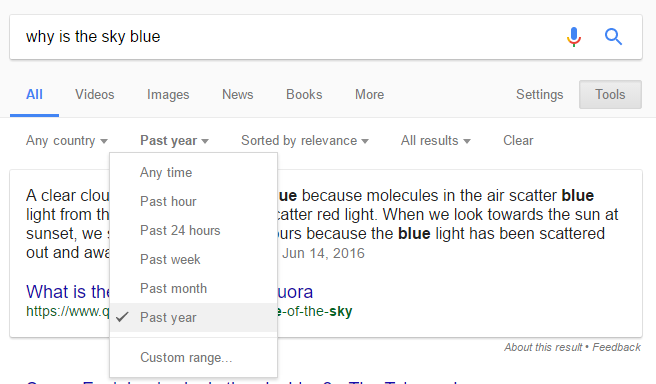 Since closed questions are still visible on the site, they're visible to Google. Deleted questions are hidden for most users (only visible at 10k+ rep) and are therefore not indexed by Google. Of course, this raises the question of whether we should be deleting all those old closed questions, but that seems like it should be a separate question. While outright deleting all those closed questions may be a step too far, I argue that at least those questions closed for recommending/finding an off-site resource should be deleted. Whether this is done via an automated process or a coordinated community effort, is up for discussion, I'm fine with both. In response to Hans' comment, we should also think about users who are less familiar with the site, e.g. those who end up ranting on the internet about SO, or those who simply view SO as just another website appearing in search results. They may not know or may not be interested in filtering search results, since it's an extra step required. For this specific close reason, 22 closed questions were deleted in the past day; 23788 questions in the past year, and 81455 questions for all-time. That's out of a total of 102928 questions that've been closed for that particular reason (or one of the 3 previous variations on it), putting the deletion rate at just shy of 80%. Of course, that also leaves 21 thousand such questions still hanging around. Just shy of 400 will be deleted automatically soon anyway; another 900 or so are unanswered but themselves score > 0 - we could probably delete those without any qualms too. However... 17 thousand or so are answered; that is, they either have an upvoted answer or an accepted answer - about 14 thousand have both. Not quite 7 thousand are upvoted, answered, and have an accepted answer. These are the questions we probably wouldn't want to automate deletion of... And it's still a pretty good pile of questions; we'd have to make a little event of it. Which raises the question... What, if anything, is worth saving here? And how do we go about saving it? We've had a site dedicated to Software Recommendations for a couple of years now, with a well-defined process for asking these questions constructively; I'm not suggesting we should be migrating anything off of Stack Overflow, but perhaps if there are well-defined questions we could just keep them around? Stuff that's trying to solve a real problem and just happens to be phrased as a resource-request... No sense in reviewing these if we're not gonna try & do something with the ones we don't delete. Sounds like a lot of work in any case, but if folks are up for it I'll build a list of the questions. As a 10k+ user, you have the ability to cast delete votes on these questions, which will put them in the queue for other 10k users to delete. Additionally, if you feel it's worth the trouble, or think the question is harmful if it remains around, you can flag the question for a moderator to take a look at it. Ex: "List of C++ tutorials -site:stackoverflow.com"
This should remove any results from the stackoverflow.com domain from your results list. If you want to start a community-coordinated process, I would recommend looking at the (current) community process for tag burnination that was spearheaded by the SOCVR chatroom and is now implemented; it could provide a good starting template. This might not be the answer you are looking for but does potentially help solve your initial problem. Search engines usually allow you to provide filters to your results, one of these being dates. I usually search posts from the last year when current information would be more valuable. "What book should I read to learn [tag]?" questions are never going to stop coming, and the best way to deal with them is to speedily close them as duplicates of a canonical list. These lists would of course fit better in tag wikis than questions, but the wikis can't be used as dupe targets. Independent from whether this should happen or not, I vote against doing it in an automated way. Some of those questions have proven to be useful. It's a problem that they are questions and answers, which the content is not well suited for. Instead they probably should have been included in the relevant tag wikis. Before deletion happens (if any) the content should be checked if it's a useful resource and preserved in some way like in a tag wiki. There's also this SO Docs thing which nobody really knows what it's about, maybe this kind of content could find a home there. Either way, an automated deletion process would possibly do more harm than it would help. Not the answer you're looking for? Browse other questions tagged discussion deleted-questions recommendation-questions . Are bug report-ish questions in the scope of SO?